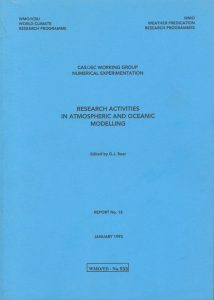 The WGNE Blue Book publication is an attempt to foster an early interchange of information among scientists developing numerical models for the purpose of climate simulation and for forecasting on various timescales. It has been published as a blue-covered book since the early 1970th. Only electronic version is available since 2006. The WGNE Blue book is published once a year.